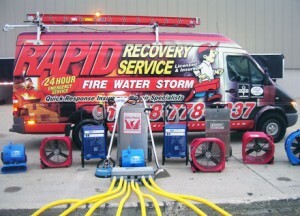 Water Damage Restoration starts with Rapid Recovery Service. We can maximize your claim of water damage and get you back in your home or business. If you have water damage caused by an intrusion, you’ve come to the right place. This includes Water Damage Restoration in all areas. Companies or homes that need Cleaning disinfecting, sanitizing, removal, extraction or drying. As a result of water damage, You could be at risk of many germs causing bacteria and even mold growth! 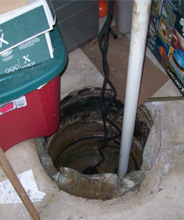 It doesn’t matter if you have a sewer backup or a failed sump pump. Also, wet carpet, pad, drywall, and wet walls are a threat. Rapid Recovery Service has years of experience to complete the water damage restoration and contamination remediation solution you need. Professional teams of certified property loss restorers have the skills required to assist you. The teams will disinfect, sanitize and clean up after toilet overflows. Also aid in sump pump failures, sewer back-ups, and all flood damage emergencies. In addition to specializing in mold remediation and testing. Torrential snowfall with a polar vortex the winter with melting snow and spring rainfall will make spring water damage cleanup for Flint with Detroit close behind in second according to the National Weather Authority. Many southeastern Michigan residents sighed with dread as they surveyed the storm’s aftermath that resulted in many homes and basements filled with water. Early Thursday morning and well late into the evening, Rapid Recovery Service responded to many calls to help homeowner’s clean up their flooded basements and backed up sump pumps. Using our injectidry systems and structural drying methodology, Rapid Recovery Service went to work and quickly began the drying and restoration process. In the event homeowners are affected by any type of flood damage, they should first contact their insurance company to review their coverage and then hire a certified restoration company to help prevent secondary damages, such as mold, from developing. Homeowner’s should check with their insurance agents to see if they have enough coverage for their home in the event their home is exposed to flood damage or their sump pump backups due to spring weather. If you need assistance with any type of water damage, give us a call – we are on call 24 hours a day, 365 days a year! Rapid Recovery Service has years of experience to complete the water damage restoration and contamination remediation solution you need. Professional teams of certified property loss restorers have the skills necessary to disinfect, sanitize and clean up after toilet overflows, sump pump failures, sewer back-ups, and all flood damage emergencies as well as specializing in mold remediation and testing. Professional teams of certified property loss restorers have the skills needed. Also, teams will disinfect, sanitize and clean up after toilet overflows. In addition to managing sump pump failures, sewer back-ups, and all flood damage emergencies. Finally, Rapid team also specializes in mold remediation and testing. Rapid Recovery Service’s team of 24-hour emergency service crews are ready and willing to come to your rescue in the worst of situations. 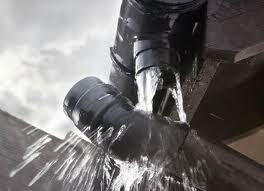 Emergency water services include storms, floods, toilet overflow, sewage backups and all disaster situations. The team is experts in providing top-notch water removal, disinfecting and sanitizing services. Crews are IICRC certified and experienced residential and commercial water damage restoration specialists. In addition to expertise in cleaning, disinfecting and sanitizing. The water damage will be found in three dimensions. Also, water always seeks equilibrium with its environment and wet always goes to dry, if it can. Just determining the extent of the water damage on the floor isn’t enough. National Flood Safety Awareness Week! The water damage needs to be mapped to determine how far up the walls it has wicked. Also, how far down into the substrate the water damage has gone. This includes possibly entering the crawlspace in a common foundation. The severity of water damage simply can’t be done by touch. As a result, very specialized water damage inspection tools and meters are required. Every water damage professional utilizes inspection tools for water damage. 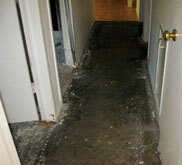 A thorough understanding of water damage demands every water damage contractor be familiar with the science of drying. Also called psychrometry. Ask your water damage contractor what the dry standard is of each structural component suffering potential water damage. With proper water damage inspection tools and water damage experience, specialists should be able to provide a scale of 100 points. This tells the moisture content of water damaged and nonwater damaged materials. If he can’t, call a different water damage restoration professional. Make sure your water damage restoration contractor draws a moisture map of the affected area showing the FULL extent of the water damage migration. In addition to updates of the water damage moisture map daily. Furthermore, the plan demonstrates the progress of the water damage/structural drying project. Professional water damage restoration contractor explains the risks of secondary damages resulting from a water damaged structure. Increased vapor pressure primarily causes of these secondary damage hazards. A result of poorly controlled ambient temperature and room humidity. Make sure the water damage restoration contractor you hired has, uses and documents the usage of a thermo-hygrometer to trend the drying potential of the environment. 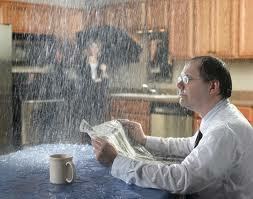 Offering 24/7 service since a progressive condition of water damage gets worse the longer it takes mitigation to begin. The Certified response team will select the structural drying equipment in a scientific method based on materials, the size of the water damaged area, and the class and category of the water damage. Furthermore, there are many types and classes of water damage. Rapid’s experts can disclose the information needed to document for your insurance adjuster.